Not every meeting with the school ends in agreement. This article provides information about what parents can do when they disagree with decisions made by the school. When parents disagree with a school’s recommendation, they may need more information and time to organize ideas and priorities to prepare for a meeting. Read on for ideas about how to find common ground and resolve conflicts. Read PAVE’s companion article, Get Ready for Your Meeting with a Handout for the Team. Support for Washington State parents is available from PAVE and the Three O’s: OSPI, OEO, OCR. Read on to know what the O’s can do for you and for links to information from these important agencies. Read on to learn more about these dispute resolution options: Facilitated IEP, Mediation, Resolution Meeting, Due Process and Citizen Complaint. Parents partner with schools when they work together on a team to design and support an Individualized Education Program (IEP). The federal law that governs special education describes parent participation as a primary principle. However, not every meeting feels collaborative to every family. This article provides information about what parents can do when they disagree with decisions made by the school. NOTE: PAVE has an article about the Individuals with Disabilities Education Act (IDEA) that describes key features in more detail. 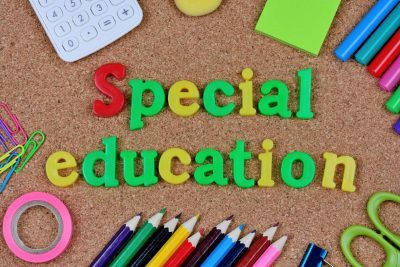 Federal law has protected children in special education since 1975. Since the beginning families have been included as important school partners, with formal and informal options for disputing school decisions. 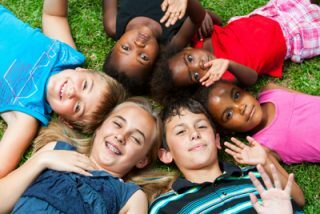 When teamwork gets challenging, parents have options that are described in the “Procedural Safeguards,” an IDEA requirement. What are the options when a parent disagrees with a teacher, evaluator, specialist, school district representative, or principal? Parents can start by understanding that their right to participate is protected by federal law, as described above. Is there another way to look at this problem? The IEP team meets at least once a year to review progress and set goals for the next year, but parents or school staff have the right to request an IEP meeting any time they have concerns that the program isn’t working. Being fully prepared for a meeting can help parents move the team toward outcomes they seek. See PAVE’s companion article about how to prepare a handout for a meeting. To problem-solve as a team member, it helps to first define the problem and consider what outcomes are most important. Parents can get overwhelmed by emotion. Contemplating that energy and time are limited can help parents set priorities and spend their resources on what matters most—usually a child’s health and success! Is there a federal or state requirement that you need to understand? PAVE’s website might have an answer, so look around in our Learning and School section. Is there a policy you need to read? Ask for copies of any relevant school or district policies or reports. Do you have the most recent copies of your child’s educational evaluation and/or the IEP document? Get copies and understand what’s in those documents. For example, if the child has an unmet need, it’s possible that a new evaluation is needed in order to set a new goal and establish skill-building with specialized instruction. Do you need better understanding of your child’s needs? Talk to providers and other experts and have them provide letters for the school. 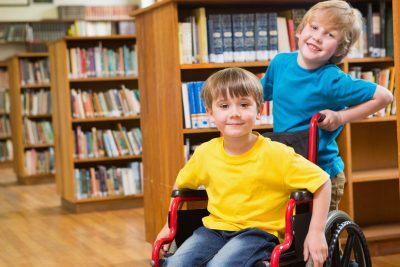 You can help the school team better understand your child’s needs in light of the circumstances of a unique disability. Learn to be an advocate AND help your child learn to self-advocate! Asking your child for input can help direct you and school staff toward what matters most. PAVE’s team of Parent Resource Coordinators (PRCs) are available to help you prepare for a meeting with the school. Click Get Help on our website. Preparing for a meeting with the school can include asking someone to attend with you. Having a trusted friend, provider, family member or another ally can help you track the conversation and keep your emotions in check. Ask that person to take notes for you. At an IEP meeting the team can agree to adjust supports and goals, request additional evaluations, and work together with the student to improve outcomes and access. Going into that meeting with a clear plan and agenda can help parents direct the conversation. Even with good teamwork and great intentions, there will be times of disagreement. In moments where collaboration feels impossible, it can help to return the conversation to common ground. For example, a parent can remind the team that the student is skilled at something and look for ways to build on that skill to improve another area of need. At official meetings with the school, parents are offered a copy of their Procedural Safeguards. This manual describes the rights of special education students and the process of delivery. The Office of Superintendent of Public Instruction provides a downloadable copy. A national resource for information about parent rights is the Center for Appropriate Dispute Resolution in Special Education (CADRE). CADRE provides a resource that describes resolution options in a side-by-side comparison chart. An impartial person assists the IEP team with communication and problem-solving by leading the work-group, which is focused on improving the Individualized Education Program and writing changes into the IEP document. The facilitator asks the team to clarify where they agree and where they disagree. IEP facilitation is provided at no cost to the parent, and the IEP team still makes all official decisions. The facilitator doesn’t have any influence and cannot make recommendations. The third-party facilitator is there to help the group clarify issues to see if they can agree on a program. The goal is to build common agreements and understanding. 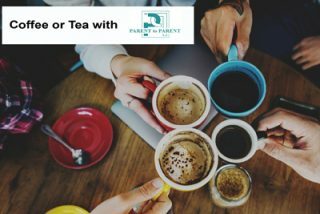 This voluntary process brings parents and school staff together with a third-party trained in mediation, which is an intervention to help individuals find common ground and problem-solve. A mediator may have knowledge of special-education laws and services. The meeting is confidential: What happens in the room stays in the room and cannot be used later as evidence in a legal proceeding. However, the group may choose to sign a legally enforceable agreement that could be admissible in court. Sometimes families and districts agree to try mediation after a Due Process complaint is filed to attempt to resolve a conflict informally. Mediation is available at no cost to the parent, individual, or school unless a party chooses to pay for legal counsel. Mediation is not guaranteed to resolve disagreements. A Resolution Meeting can be held during another dispute process and may solve the problem informally so that the other process is suspended. A resolution meeting is required within 15 days after a parent files a Due Process Complaint, which is a way to request a formal, legal hearing. If the school district does not hold the Resolution Meeting on time, a parent may ask the hearing officer or administrative law judge to start the hearing timeline. If held, the Resolution Meeting provides a chance for parents and schools to agree before decision-making authority transfers to an administrative law judge. Attorneys may attend, but schools cannot bring an attorney unless the family also brings a lawyer. If the family and school reach agreement, they can sign a legally enforceable document. The parties have up to 30 calendar days to work on a resolution before a hearing. A Due Process Complaint initiates a legal process and is a way for a parent, student or public agency, such as a school district, to request a formal hearing before an administrative law judge. Due Process is the most adversarial of all the dispute engagement options and can impact a family’s ongoing relationship with the school. This formal, legal process can address disagreements in many areas of special education. Here are some examples: identification, evaluation, educational placement or service provision. Schools are required to initiate Due Process if a parent formally requests an Independent Educational Evaluation (IEE) because of a dispute related to the school’s own evaluation or a refusal to evaluate, and the school refuses to pay for the IEE. 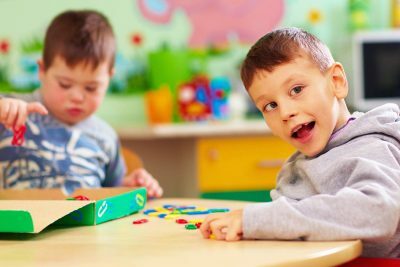 In most cases, a Due Process dispute in special education determines whether the school district is providing a Free Appropriate Public Education (FAPE) to a child who needs or is suspected of needing special education and related services. The two sides are referred to as “the parties.” To request a Due Process hearing, one party submits very specific information, in writing, to OSPI and to the opposing party. A written decision with findings of fact and orders is made by an administrative law judge and can be appealed to a higher court. The Individuals with Disabilities Education act (IDEA), requires that Due Process complaints be filed within two years of the date when a party knew or should have known of the problem. The written decision is issued within 45 calendar days from the end of the resolution period, unless a party requests a specific extension. The decision is legally binding. However, if a decision is appealed the resolution may be put on hold until the appeal is final. Public funds pay for the hearing, the hearing officer/administrative law judge, and use of any facilities. Each party pays any fees due to attorneys or witnesses. Faster timelines require a Resolution Meeting within seven calendar days, unless the parties agree in writing to skip the meeting or use Mediation instead. The hearing schedule proceeds if the issue is not resolved within 15 calendar days. The hearing must be held within 20 school days of the date the request was filed. The decision is due 10 school days after the hearing. Any individual or organization can file a complaint with the Office of Superintendent of Public Instruction (OSPI) to allege that a Washington school district or another public agency violated federal or state law related to special education. 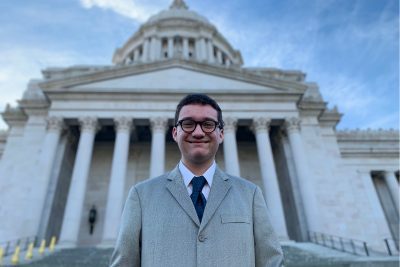 Regulations governing the development and content of an IEP are contained in the Individuals with Disabilities Education Act (IDEA, Public Law 108-446), and in the Washington Administrative Code (WAC 392-172A). Citizen complaints are investigated by OSPI. Citizen complaints must be filed within one year of the alleged violation. OSPI issues a written decision within 60 calendar days of receipt with findings, conclusions, and reasons for the final decision. The response includes actions required to address the needs of the child or children related to the complaint. The response may include timelines that specify calendar days or school days. Please note that “school days” will exclude weekends, holidays or any other days when school is not in session. Timelines for “calendar days” include all days, including weekends. Good luck in your journey toward resolution! Each of these options is available any time a parent or student disagrees with an action taken by the school. Getting well-informed and organized is key in any process. Start by clarifying how to direct energy and what the desired outcome will look like. To get help and ask questions, parents can contact PAVE or one of the “Three O’s” listed above: OSPI, OEO, OCR.